BBC World Service’s Science Hour program is outstanding. On March 30, one of the topics was animal behavior. It was recalled how Jane Goodall saw chimps use twigs to get ants from inside anthills, and proved that animals know how to use tools. Then broadcaster Adam Hart asked, do animals think like humans? Do they have moral principles? The fascinating research by Emory University researcher Frans De Wall, a Dutch primatologist, was mentioned. He studies whether animals empathize, i.e. understand and sympathize with other animals? They do indeed. Chimpanzees go over to chimps who lost a fight, and put an arm around them to comfort them. Yawn contagion is a predictor of empathy (if someone else yawns, causing you too to yawn, you are empathic). Chimps who saw videos of yawning chimps were likely to yawn themselves if they knew the chimp involved, i.e. had a reason for empathy. With The Economist’s cover story on Crony Capitalism, new attention is being focused on the obscene salaries capitalist managers pay themselves, especially those in banks, insurance companies, hedge funds and financial services. The animal studies reveal a key point. It is part of our evolutionary DNA that societies should be fair. Fair societies are cohesive, and thus survive better and longer than selfish unequal ones. 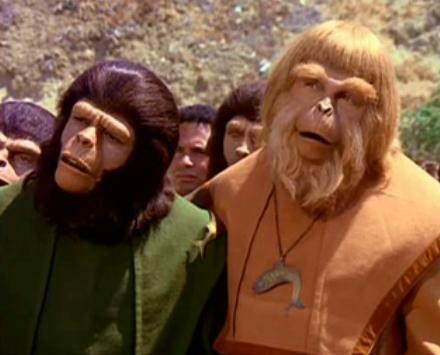 This began with primates, chimps and apes, and has transferred to human society too. Crony unfair unequal capitalism, where a handful rip off the majority of working people, will simply not survive. One way or another, the people will find a way to put a stop to it, just like De Wall’s chimps. Check out De Wall’s books: Our Inner Ape, and Chimp Politics. In many ways, chimp society is more advanced than our own human society in the age of rip-off capitalism. 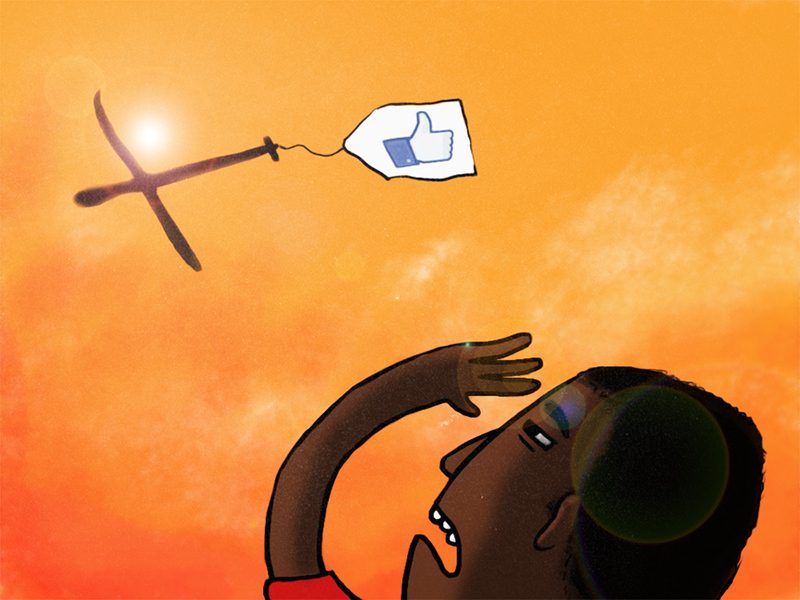 Internet for the World: Facebook & Drones! Hard to believe, but the World Wide Web is only about 23 years old. In 1993, only 20 million people were on the Internet. In 1999 only four per cent of the world’s population of 6 billion people, or 240 m., were Internet-linked. Today 40 percent of the world’s population of over 7 billion people, or some 2.8 billion people, is Internet-connected! The Internet has changed our lives massively and permanently. That is – those of us who are connected. But what about the remaining 4.2 billion, or 60 per cent of the world? Google and Facebook are both racing to find ways to connect them. It is not easy. Most of those 4.2 billion people live in countries with minimal infrastructure. How can it be done? According to Vindu Goel, writing in today’s New York Times, Facebook is pulling an “Amazon” (remember Jeff Bezos’ recent pitch, that Amazon will deliver packages with drones) and is hiring as many as 50 aeronautical engineers and space scientists, to “figure out how to beam Internet access down from solar-powered drones and other ‘connectivity aircraft’.” This will be done in a new Facebook Connectivity lab and a project called Internet.org. Part of Mark Zuckerberg’s goal, apparently, is to make (and keep) Facebook the most cool, interesting place to work. He is fighting against the curse of scale – big companies lose their creative drive, and their creative people, as they scale up and bureaucratize. Earlier, Google too announced a drive to connect those unconnected 4.2 billion. Google’s approach currently focuses on high-flying balloons. Facebook is also working on compressing Internet data, cutting the cost of Internet mobile phones and finding ways to hook up remote areas. Neither Facebook nor Google seem to have a clear business model in mind for their balloons or drones. The advertising model probably won’t work, because most of those unconnected 4.2 billion people are quite poor – although the late C.K. Prahalad pointed out, in his book, Fortunes at the Bottom of the Pyramid, that collectively, they form a huge market. Many analysts are very critical of both Google and Facebook for their ‘connect everyone’ efforts. Maybe we are missing the point. Maybe Google, and Facebook, are trying to connect everybody, because – it’s just the right thing to do. Maybe this is a new face of capitalism? Could it possibly be? Maybe an exlusive capitalism that leaves out over half the world will eventually crumble, taking Google and Facebook with it..and maybe Sergei Brin, Larry Page and Mark Zuckerberg realize it? Maybe inclusive capitalism is cool?! All That’s Wrong With Democracy: Roger Cohen Gets It Right! Roger Cohen Gets It Right! Roger Cohen, the New York Times columnist, is a fierce critic of my country Israel – sometimes deservedly, sometimes excessively. But lately he’s been a fierce critic of U.S. President Obama, and this time, it’s richly deserved. In today’s New York Times, he tears a strip off Obama for his weak wishy-washy speech in Europe on how to stand up to Russia. The problem is, Cohen says, that Western democracies are “failing to deliver”, while despots like Putin actually have been performing rather well. The proof? Soaring unemployment in Europe (3 m. unemployed in France, for instance), rising fascist right-wing parties (Marine LePen and the Front Nationale did well in France’s municipal elections last Sunday), European integration is stalled and Europe is internally divided and at odds, the EU is overly bureaucratic and undemocratic; income disparities in Europe and the U.S. are huge and growing; there is “spreading middle-class dystopia”; money has skewed fairness on both sides of the Atlantic, corrupting democracy. Scorched earth Republicans devote their politics to obstruction. “A CEO can earn $80 m. for a few weeks of work while incomes for most Americans are stagnant.” Many young people have lost the sense of possibility and hope. Concludes Cohen: “Unless Western societies find a way to shake their moroseness, level the playing field and rediscover [equality], they are going to have a hard time winning the contest of ideas (against the despots)”. “Now is not a time for bluster,” intoned Obama. And that is precisely what he provided in his speech – empty words. Saudi Arabia has given up on the U.S. Israel may soon have to do the same. And Vladimir Putin is laughing up his sleeve. 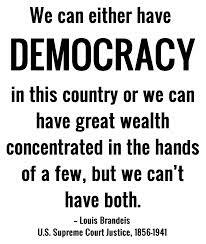 A full century ago, Louis Brandeis, U.S. Supreme Court Justice, said that you can’t have both democracy and great concentrated wealth. Israel just passed a law to try to mitigate that concentration. Before the U.S. and Europe can confront Russia, they need to look in the mirror and confront their own problems. Is France Missing the Boat? Ah, France, home of Paris, great cuisine, culture, the inspiring French Revolution, relaxed lifestyle…! 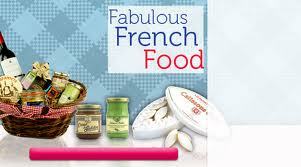 Alas, France – your most important recipe, how to inspire your youth and keep them from leaving the country, has failed. And the results are disastrous. “Guillaume Santacruz is among many French entrepreneurs now using London as their base. He said of his native France, “The economy is not going well, and if you want to get ahead or run your own business, the environment is not good.” Guillaume Santacruz, an aspiring French entrepreneur, brushed the rain from his black sweater and skinny jeans and headed down to a cavernous basement inside Campus London, a seven-story hive run by Google in the city’s East End. It was late on a September morning, and the space was crowded with people hunched over laptops at wooden cafe tables or sprawled on low blue couches, working on plans to create the next Facebook or LinkedIn. The hiss of a milk steamer broke through the low buzz of conversation as a man in a red flannel shirt brewed cappuccino at a food bar. A year earlier, Mr. Santacruz, who has two degrees in finance, was living in Paris near the Place de la Madeleine, working in a boutique finance firm. He had taken that job after his attempt to start a business in Marseille foundered under a pile of government regulations and a seemingly endless parade of taxes. The episode left him wary of starting any new projects in France. Yet he still hungered to be his own boss. Every country, including my own Israel, must understand this: Entrepreneurship is global. Entrepreneurs will start their business elsewhere, if you do not create the right conditions for them. 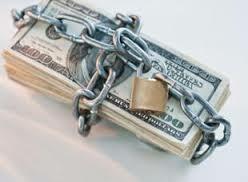 Make it easy to start a business, and most important, easy to close a business if it fails. Make it easy to get a small amount of startup zero-stage money. Make it easy to hire, and to fire. Make it easy to find experienced management advice. Lots of countries do. France just had local elections. Everyone is preoccupied by the rise of LePen and the right-wing nationalists. This is a problem. But it is trivial compared to the cost of losing bright young people who if they stayed would create new businesses and many new jobs for other young people. France is 41st (!!) in the world in ‘ease of starting a business), and about 149th in ease of registering property. Why? Blind dumb bureaucracy that could be eliminated in one day. Wake up France! You have the world’s best schools of engineering and some of the world’s best engineers. Keep them at home, help them start businesses. If you don’t, they’ll leave – and France will never be the same. And that applies to all countries, Greece, Spain, Italy – and my own Israel. Ever notice how many foreigners (from India, Israel, etc.) are in Silicon Valley, starting businesses? I’ve been closely tracking research on Alzheimer’s, as researchers try to identify the cause, diagnose the illness earlier and above all, find a possible cure. 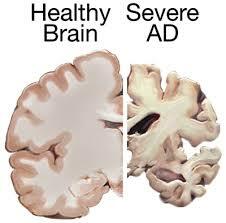 The photograph above shows just how awful an illness it is, literally shrinking and damaging our brain, messing up neural connections with ugly protein tangles, and damaging our lives and those of our loved ones who care for sufferers. By one estimate, there will be 75 million sufferers in 2030 and 135 million in 2050. So, Alzheimer’s must become a top priority for medical research. The Harvard researchers took a new approach to Alzheimer’s, and found amazingly that there is a protein, created at birth, that can repress genes related to Alzheimer’s and other stresses. Alzheimer’s patients seem to have too little of it. The natural next step is to create a drug based on the REST protein. I think there is an important, hidden point to be made here. Harvard Univ. has massive funds for research, flowing from its enormous endowment, and from other funding sources including those from industry. Modern research is very expensive. And availability of funds enables Harvard to attract and retain the very best research talent. There are still Nobel winners out there who succeed with little money and poor equipment. But that is becoming increasingly more difficult. It’s Now a Fact! There WAS a Big Bang! The new finding that detected gravitational waves confirms a theory known as “inflation”, the theory that the expansion of space in the early universe happened at a rate much faster than the speed of light. Following the inflationary period, the universe continued to expand, but at a slower rate. 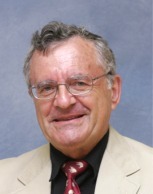 “Inflation” is a theory expounded first by Dr. Alan Guth at Stanford, late at night in 1979. It was a “eureka” moment. “Spectacular realization!” Guth wrote then. 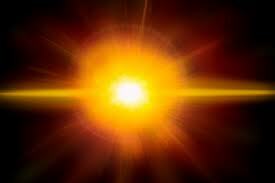 Guth broke the physics rule, that the speed of light is an upper limit. What if it isn’t? he asked. And that led to a conceptual breakthrough, that on Monday, was confirmed. The radio telescopes were sited at the South Pole, because the atmosphere is thinner there and there is far less background ‘noise’ to interfere. How did human life happen? In one sentence: the Big Bang scattered hydrogen molecules, which clumped into stars, which exploded, scattering matter (formed in the belly of stars by fusing hydrogen atoms into heavier matter) which clumped into planets, and in soupy seas chemicals formed ribonucleic acid, then DNA, and a reptile that evolved from a single-cell creature went onto land and learned to breath air…and when a huge asteroid hit the earth and the resulting dust cloud obscured the sun, the cold-blooded dinosaurs all died, leaving the world to the mammals..and humans. How arrogant are we humans? The Creator took 13.8 billion years to shape the universe as it is today. If those 13.8 b. years were represented as one year, 365 days, human life has existed for only the last 14 seconds of December 31, or, just about 50,000 years. So people – you are just the early early stage of an experiment, and alas, it just doesn’t seem to be working too well. Senior Brain: ‘Googling’ Expands Your Mind – Honest! An article in the American Journal of Geriatric Psychiatry (Feb. 2009) by Small, Moody, Siddarth and Bookheimer, is titled “Your Brain on Google: Patterns of Cerebral Activation during Internet Searching”. It confirms something I personally have felt and believed – Google-ing is good for your brain and expands your mind. First the experiment. The authors took 24 subjects, 12 of whom had minimal Internet search engine experience, and 12 of whom had extensive experience. Ages were 55 to 76 years. They used functional MRI scanning to study brain activity when subjects “performed a novel Internet search task, or a control task of reading text on a computer screen, formatted to simulate a printed book”. In both cases, the content was precisely matched. Now, the results. “Internet searching may engage a greater extent of neural circuitry not activated while reading text pages, but only in people with prior computer and Internet search experience.” They conclude: “In older adults, prior experience with Internet searching may alter the brain’s responsiveness in neural circuits controlling decision making and complex reasoning”. What this suggests is, perhaps, that Google-ing stuff is good for your brain. When you Google a subject, you scan through a large number of pages of material, fairly quickly, and your brain works hard to spot precisely what you need and what is relevant. And the more you do this, the better your brain gets at it – it’s a kind of exercise. It is a skill that is not developed when you simply read a printed page. In general, modern technology clearly alters our brains. The way our children think, work and make decisions may become very different from the way we older-generation people think and decide. In fact, the differences already exist. Perhaps a good way for us Gen Senior to understand Gen Y is simply to make more use of the technology that they use. Young Man, Young Woman: Go West! Go East! Just…Go! Each year, New York Times columnist Nicolas Kristof chooses an intern, to travel with him and report on ‘neglected issues’. This year’s winner? 20-year-old Nicole Sganga. In his column “Go west young people! And east!”, Kristof makes an interesting point. First, a little joke. If ‘trilingual’ means knowing 3 languages, bilingual means knowing 2 – what is a person called who knows no foreign languages? Answer: an American. Most Americans do not have a passport, do not know a foreign language, and do not travel abroad. The result is an insular nation ignorant of geography and other cultures. Kristof notes that of all the 50 American states, the most cosmopolitan, and the best state in which to do business (according to Forbes magazine) is…not New York! It is..Utah, the state with a large population of Mormons (Church of the Latter Day Saints), a religion not known for liberality. Why? Because young Mormons are required to do two years of missionary work in a foreign land, and they return speaking Thai, Mandarin, Korean and a blizzard of languages – 130 languages are spoken in commerce in Utah, as a result! 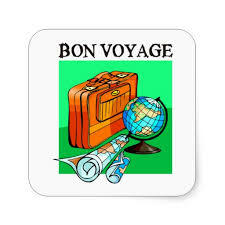 Kristof notes that fewer than 10 per cent of US college students study overseas during their undergraduate years. In my country, Israel, young people complete their compulsory army service, then pack a backpack and trek through India, South America, Thailand, anywhere, partly to cleanse themselves of the early-rising army discipline. One result is to make Israel a very cosmopolitan nation, which I think helps our startups a lot. Kristof suggests: How about if American colleges gave students a semester credit for a gap year spent in a non-English-speaking country? America has paid heavily for wars in Iraq and Afghanistan, bungled in part because America had little understanding of the complex cultures of those nations, cultures you can understand only by living there and learning the language. So simply as a matter of survival, if America wants to understand this complex often hostile world, more young Americans need to experience other nations. It’s a matter of national security. Obama – Bring the Money Home! Two reports in today’s Bloomberg Business Week and Global New York Times are closely connected. Floyd Norris reports that after six years of economic crisis and stagnation, the level of employment in the U.S. has at least returned to its level in 2008. And Bloomberg reports that American businesses, which recovered far far faster than us ordinary working people, have piled up nearly 2 trillion dollars (!) in retained profits abroad, which they choose not to repatriate and bring home to America, in order to avoid the 35 per cent corporate income tax. General Electric alone has $110 b. locked up abroad; Microsoft, 76.4 b.; Pfizer, $69 billion; Merck $57 billion; and Appel $54 billion. Overall, only 22 big companies hold half of the ‘locked earnings’ abroad, or $984 billion. In the past, economic recoveries occur when businesses start investing again, in capital formation, using their retained earnings. But this cannot happen in America when businesses are sitting on their money abroad. It’s not as if America doesn’t need investment. It needs infrastructure, new airports, fast trains (Amtrak’s ‘fast’ Boston to Washington train is a disgrace, compared to Japan’s and France’s bullet trains), new roads, new bridges, new schools, new factories…in short, everything. So President Obama — why not declare an amnesty? Tell the giant businesses, if you bring your money home and use it – or even just bring it home, and make it available in capital markets for OTHERS to use it — we’ll offer you an Irish rate of tax, about 12 per cent, rather than the American one, 35 per cent. Do it because it makes good business sense, and besides, your country needs it – and it is your country that gave you the innovation and creativity that made you the profits in the first place. It’s pretty likely the Republicans, who are pro-business, will support such an amnesty. And President Obama — after your dismal performance for six years, this may be your last chance to actually do something creative and productive. Do something for America’s workers. Renewed investment will create jobs more than anything. Until America’s businesses stop sitting on their piles of money abroad and start using it at home, employment cannot recover strongly. Should We Teach Kids to Break the Rules? In Michelle Knudsen’s book for children, “Library Lion”, 2006, illustrated by Kevin Hawkes, the head librarian Miss Merriweather and Mr. McBee kick Library Lion out of the library, because he roared. And in the library, the rule is, you have to keep silent. They come to realize that by sticking to the formal rules, McBee and Merriweather have made a mistake. Sometimes, to do a good thing, you have to break the rules. An Israeli theater group has now made a musical out of this story. As parents and teachers, we teach our kids to become ‘socialized’, which means, to learn the rules of civilized behavior in society. Every society socializes its kids. Without that, we would have a crumbling society of sociopaths. The question is, if creativity and innovation are about breaking the rules, can we teach kids to follow some rules and break others? And can they learn to know the difference? Can we raise good kids, well behaved, who at the same time rebel against rules, unwritten ones, and create wonderful new inventions? Can you be totally socialized, and extremely creative? 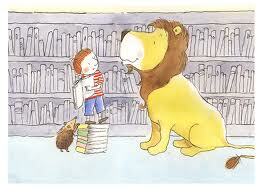 Perhaps “Library Lion” is a wonderful start at grappling with these tough questions. It is clear that doing so is long overdue. A lot of parenting, and a great deal of schooling, are one-sidedly focused on teaching the rules, and not on when they might be, and should be, broken.